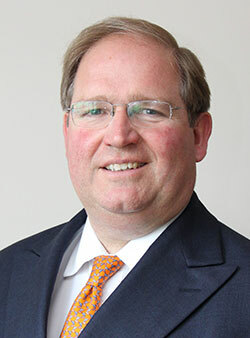 Christopher joined Marshall of Cambridge in 1983 and has been a director since 1999. He has worked in all of the principal Marshall businesses, including Marshall Aerospace, Marshall Land Systems and Marshall Motor Holdings, where he worked from 1994 to 2011. Christopher joined the senior team in Marshall of Cambridge (Holdings) Ltd in 2011, where he has particular responsibility for external relations and communications. He is a Non Executive Director of Marshall Motor Holdings plc. He is a Trustee of Addenbrooke's Charitable Trust, and a board member of Anglian Learning (a multi academy trust). He is a member of the Joint Assembly of the Greater Cambridge Partnership. Christopher is Chairman of the Regional Employer Engagement Group (REEG) for the East Anglian Reserve Forces and Cadet Association and a member of the Cambridgeshire County Forum. Christopher is Chairman of No.104 (City of Cambridge) Squadron of the RAF Air Cadets and a Vice President of the Air League Trust. He is a Vice President of the Automotive Fellowship International and a Fellow of both the Royal Aeronautical Society and the Institute of the Motor Industry. He is a Freeman of the City of London and a Liveryman of the Worshipful Company of Coachmakers and Coach Harness Makers. Marshall of Cambridge is a private company headquartered in Cambridge and founded in 1909 as a chauffeur business. Its growth since then has been funded entirely by ploughed-back profits and the Group now comprises 3 main pillars: Marshall Aerospace and Defence Group, which includes Cambridge Airport; Marshall Group Properties which manages the company’s estate and the 2 million sq ft of industrial/commercial and office space; and Marshall Ventures, the investment arm of the business. Marshall also retains a 65% majority shareholding in Marshall Motor Holdings Plc, the 7th largest motor retail group in the UK. Overall Marshall has a turnover in excess of £2.6 billion and employs something over 6,000 people in the UK and overseas. Marshall of Cambridge (Holdings) Ltd is a Silver Corporate Sponsor of the Ely Cathedral Business Group. Joe has over 20 years' experience in the Recycling sector and has held key commercial roles with some of the UK leading companies including Cleanaway, Pennon Group and BT. In 2011 Ellgia Recycling was formed by Managing Director Steve Crook, Foreman driver Pete Drage and Sales Director Joe Hemsley-Rudd and it has grown into one of the regions largest commercial recycling and waste management business. Ellgia Recycling was named the National Independent Operator of the year at MRW National Recycling awards and was named in the prestigious Top 100 Companies in Cambridge in 2018. Katherine and Daniel return to our Monday forum on the 14 January 2019 to update us on their amazing progress since her first visit at the end of 2016. Founded in 2013 by Katherine Hickmott and Daniel Bell, KD Theatre Productions' Pantomimes and Musicals have found their way into Norwich, Peterborough, Harlow, Hartford, Hunstanton, Ely and the Tristan Bates Theatre in London. Jack and the Beanstalk, Santa Show, With One Look are all on at the Maltings in Ely this Christmas, with Alice in Wonderland following in April 2019. In 2016 as part of their Business Mentoring initiative, Ely Cathedral Business Group were able to facilitate the introduction of two business mentors, free of charge from their membership, to support Katherine and Daniel in their growth plans. Amid growing support for a second public vote, former Mayor of Ely and former Deputy Police and Crime Commissioner Brian Ashton proposed the motion that 'the UK should still leave the EU'. Mark Inskip from the Ely for Europe group will be leading the case for remain. Mark was the Opposition Leader on Southampton Council and now lives in Sutton. The motion for leaving received 7 votes but was beaten by 19 in favour of remaining. There were 2 abstentions. Mark Cooney has a varied career. He has been in the Royal Air Force as an Assistant Air Traffic Controller, owned a second-hand book company winning an award for it. He was Recycle Manager for one of the largest recycling companies in the UK, has been a Bus Driver, a Bar Owner and Manager, Warehouse Operator and Taxi Driver, and of late is the owner of Spotted in Ely and Inyoni Productions Ltd. Spotted in Ely was founded in 2013 quickly becoming the most popular platform to share news in Ely and the surrounding area. With more than 21,000 followers on Facebook, 2,000 on twitter, posTwittering 150,000 per week, SiE has a diverse audience with the biggest age range between 25 and 44 featuring community news and often first ahead of other agencies. SiE also believes in supporting local businesses. News, advertorials, advertisements, events, jobs and business buzz directory are all included in the day to day products and services. Spotted in Ely is run by just 2 people and their dedication to Ely despite only living here a few years shows every day in what they do. Fraser Dawbarns are a leading law firm with several branches in East Anglia. They have recently opened an office in Ely, and two experienced solicitors would like to share their expertise. Peter Dawe has founded over 100 businesses and organisations, typically averaging one initiative ever 3 months. They vary from small single person businesses to an LSE quoted multi-national. Sectors where Peter has been successful include Internet, International Telecom Fibre, Housing benefit reform, health care services, Financial services, Software, Agriculture, Media... and many more where he has been unsuccessful. His current initiatives include WizPar, CItiPod, Floating Fields, Ely Free WiFi, Theatre, “Beat-the-Bear” and World economic modelling. Peter’s talk will describe how he manages so many projects, the challenges they present, why he bothers and what his current projects are seeking to achieve. Her background is literature, rather than business (she used to teach English at Trinity College in Cambridge), and her title is taken from the bestselling novel by Nick Hornby, where the hero tries to ‘be good’ – and it comes close to wrecking all his relationships! She will think about what ‘good’ could mean in a professional context: about policies of generous engagement in professional relationships, their limits and their potential effects. She will be running a ‘How to be Good’ discussion forum at the Cathedral in the autumn, focusing on different professions. Paul Fuggle is a Business Strategist and owner of Clear Focus Consulting and has over 18 years experience in creating and implementing strategies and systems for multi-national corporations, FTSE 100 companies and SME businesses. In this session we will be looking at how you can strategically stack the odds for success in your favour and how this can be applied at an individual, business and city wide level. William Rooke is a Chartered Surveyor and Partner in the Commercial Property team at Carter Jonas. Operating in the transactional side of the business he provides both private and public sector clients with advice on their real estate, building up a detailed knowledge of the local market in the process. With the success of Cambridge as the regional centre to live, work and play well established, in this session we will consider how Ely can capitalise on Cambridge’s continued growth and the role the property market can play in this. We will also review where the demand for space is coming from, the impact recent and proposed developments will have on the area and concluding what is required to attract new occupiers and investors to Ely. Tracey Harding is the Tourism, Town Centres and Events Manager for Visit Ely. 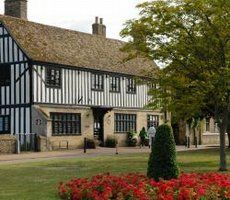 Responsible for promoting Ely and the surrounding area, managing the Tourist Information Centre and Oliver Cromwell’s House, supporting local businesses and putting on major events - the remit is wide. 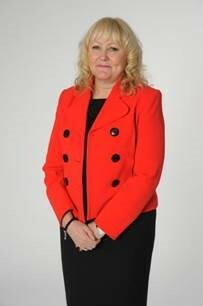 Having spent nearly 20 years working for the local authority she has seen many changes. As a result of budget reductions and the dawn of the digital age the service has had to adapt and operate more commercially. This is your opportunity to understand the important role that Visit Ely plays and how it intends to operate in the future to ensure Ely remains the wonderful place that we all know and love. Sarah Simonds of Artichoke is an accidental retailer. Retiring from a career in shipping to have her children in the late nineties, Sarah thought that she would become a lady who lunched. Life, however, as it so often does, “bit her on the bum” and she needed to earn cash whilst her children were very small. Living in rural West Norfolk, this proved to be quite difficult. So at a girlfriends suggestion, Sarah set up a mobile clothes shop. Fast forward fifteen years and you will note that Sarah has two bricks and mortar shops, one in Ely and the other in Swaffham, an established pop up and a small web business. Sarah will be discussing the challenges facing independent retailers in today’ s economic environment. Tracy will run through significant information, aiming to provide practical advice & invaluable insight about International Trade to companies looking to export for the first time or looking to develop their existing International business via business leads & exporting insights available on Santander’s unique Trade Portal. UK businesses can get a significant amount of information from the Portal, a free online resource to help exporters both identify the best export opportunities & find the information & key contacts needed to achieve success on a Global basis. There are over 190,000 importers in key countries listed, circa 30,000 suppliers, more than 40,000 trade shows, over 1 million public & private tenders worldwide along with a directory of potential customers, suppliers & possible competitors. Tracy has developed a wealth of International Trade Finance experience working in the banking sector for more than three decades’, including 5 years working for Santander, almost 20 years at Bank of Ireland & specialist Trade Finance houses like Delta Trade Finance & China Export Finance. Her understanding of the international markets enables her to offer best practice insight to firms. This week's discussion, "Brexit, 12 months on" attracted a good audience at the Royal Standard Pub in Ely. A lively discussion took place - far from a bunch of business people reciting the same script! Many differing views were expressed: about whether the Government was approaching things sensibly; about things that have already changed for worse; about the opportunities and pitfalls for businesses as they seek to forge new international partnerships; and about what can be done to ensure that everyone is listened to, covering all shades of business society, but also the ordinary people whose lives may be affected by the outcome of Brexit negotiations. Above all, though, the main message, even for the leave contingent, was that a strong feeling of anxiety and uncertainty continues to pervade East Anglia - a feeling that is unlikely to go away for some time. Meanwhile businesses, small and large, must determine their own path if they are to survive, yet they still lack clear visibility of the likely outcome of negotiations with Europe over free trade agreements, immigration rules, legal jurisdiction and other key concerns, such as the possible effects on the research and innovation communities. With all the above in mind, Ely Cathedral Business Group is considering how best to theme its Autumn Debate on 11 October, 2017. Progress with Brexit is an obvious candidate, but we would be very glad to hear any views on that or alternative subjects affecting how we do business in Cambridgeshire. Do let us know if you have a suggestion, but, above all, do put the date in your diary! Jo Evans has nearly 20 years' experience in Marketing, working as Direct Marketing Manager for a market leading international company prior to establishing Emerald Frog Marketing. With extensive hands-on experience, Jo has managed successful and targeted marketing campaigns to both the public and private sectors. Jo is accredited by the Institute of Direct Marketing with the industry recognised IDM Diploma in Direct and Interactive Marketing. She also has extensive experience with marketing strategy and writing copy for direct mail, e-campaigns, promotional material, press releases, websites and SEO. 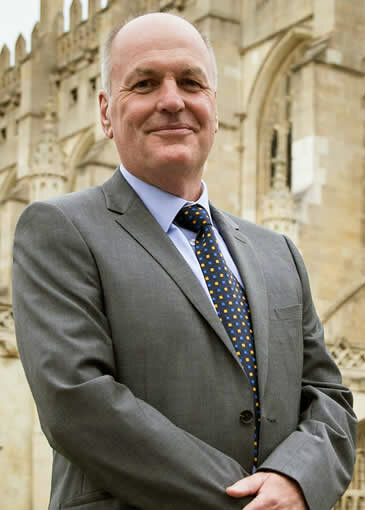 "Survival in the Cathedrals Business"
For the past 20 years, Stephen has specialised in the management of not-for-profit organisations, including Cambridge University Press, the Theatre Royal in Bury St Edmunds, Britten Sinfonia and The Wine Society. In his retirement, he manages ‘the business side’ of Ely Cathedral and is Vice-President of Clare Hall, Cambridge. At a time when there is much disquiet about the finances of several of England’s cathedrals, Stephen will offer us an insight into how various ancient businesses have survived for centuries and how cathedrals are still in a position to outlive most commercial businesses in the modern age. “From Potato to Panto - via The Tractor Boys"
Austen has been in Ely since 2006, coming to the city through his love of Subbuteo. Now entering his 50th year he has considerable marketing experience across many business models. His approach to marketing is through the use of partnerships. Teaming up the likes of Cheffins with a 11,000 audience professional pantomime, and launching the worlds only Potato street race are just two of his latest project. With over 15 years marketing and brand management across Archant newspapers and websites, plus an editorship of Chippy Chat - the online and inprint platform for the fish and chip industry Austen's passion for marketing is catching. Ivar has lived in Ely for 11 years now, before Ely he lived and worked in Pittsburgh - Pennsylvania, Oslo - Norway and London. He went to university in the US and has a degree in Accountancy. After many years working as a Financial Director, he has spent the last 12 years providing and implementing business software for small and medium sized companies in the UK, before setting up a new business venture in 2016 - My Shop is Local. His presentation will argue that Cloud based software is a fantastic opportunity for SME’s compared to the traditional business software model i.e. locally installed on server. He will also cover how his current business only use Cloud based software and how it all works together.